Are you currently looking for a quality used car dealership in the Avon, Indianapolis, and Plainfield areas? Whether it’s a dependable minivan to get your kids to all their practices and games or an SUV to get you to the next adventure, Andy Mohr Toyota is here to help you find exactly what you need in a used car. 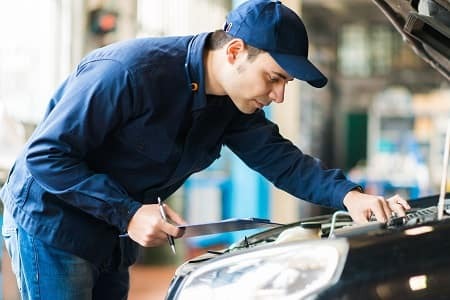 Here’s a guide to what your Noblesville, IN, used car dealership has to offer. We’re confident that our wide selection of the most popular brands is sure to have the vehicle that will fit in with your individual tastes and needs. From a fully capable truck or SUV to a stylish coupe or sedan, we can help you find it at our Noblesville used car dealership. Plus, we have an inventory of certified pre-owned Toyota vehicles that go through a 160-point Quality Assurance Inspection to ensure your used car lives up to the standards you expect. If you have any questions, know that our experienced sales team is always nearby to lend a hand. As your used car dealership, we always want to make your car-buying experience as quick and easy as we can, which includes taking care of all your financing needs. We even offer special financing for Noblesville residents! Once you’ve decided on which car is the one for you, it’ll be our finance team’s task to walk you through your options and help you make a balanced and informed decision. To make the process even easier, we’ve provided a payment calculator on our website that gives you the ability to get an exact idea of which cars on your short list fit within your budget. Also, we encourage you to fill out our secure financing application to get the process moving even quicker. Incorporated in 1851, Noblesville is the county seat of Hamilton County, IN. There is a variety of entertaining things to do in this culturally diverse locale. For instance, Noblesville is home to seven golf courses, the Indiana Transportation Museum, and plenty of public parks. Those interested in the arts will likely find the Belfry Theater and the Ruoff Home Mortgage Music Center particularly interesting. Noblesville also has some notable architectural features. Namely, the Hamilton County Courthouse and the Hamilton County Sheriff’s Residence and Jail are two classic representations of the Second Empire architectural style. Whether you’re interested in historic sightseeing, taking a stroll through the back nine, or taking in an outdoor concert, you’ll need a reliable ride to get you there. 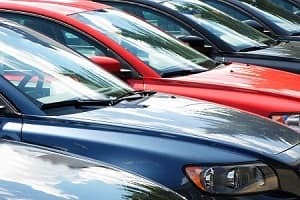 If you live in Avon, Indianapolis, or Plainfield and you’re in the market for a pre-owned vehicle, our used car dealer in Noblesville has the wide selection, helpful financing, and convenient service department to make buying and owning your next used car as quick and smooth as possible. Stop by Andy Mohr Toyota for your test drive today.